Finding ways to naturally support your immune health and hormone balance can be difficult sometimes. That’s why Douglas Laboratories has created their DIM® Enhanced capsules with the support of curcumin‚ green tea‚ and wasabia. 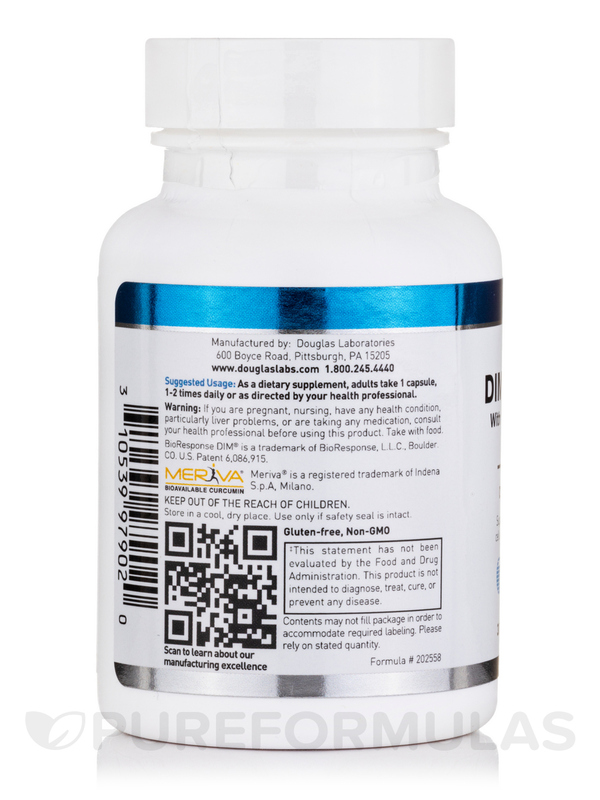 These capsules offer a microencapsulated form of diindolylmethane‚ which can result in better absorption. 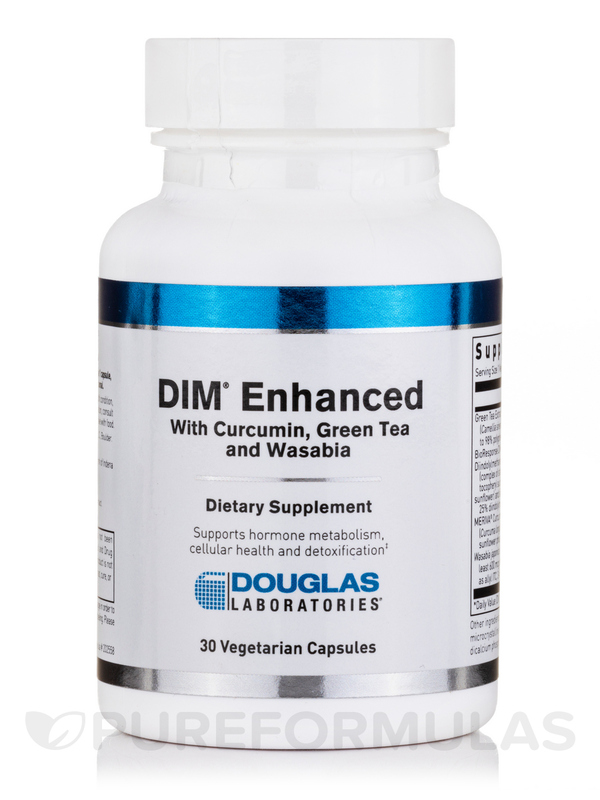 Douglas Labs’ DIM® Enhanced contains 125 mg of absorbable BioResponse DIM® complex in each vegetarian capsule. This chemical is naturally derived from cruciferous vegetables like broccoli‚ cauliflower and cabbage. In healthy women‚ DIM may potentially promote the proper metabolism of estrogen while facilitating hormonal balance. DIM may also work as an immune system booster to potentially improve your body’s defensive responses. 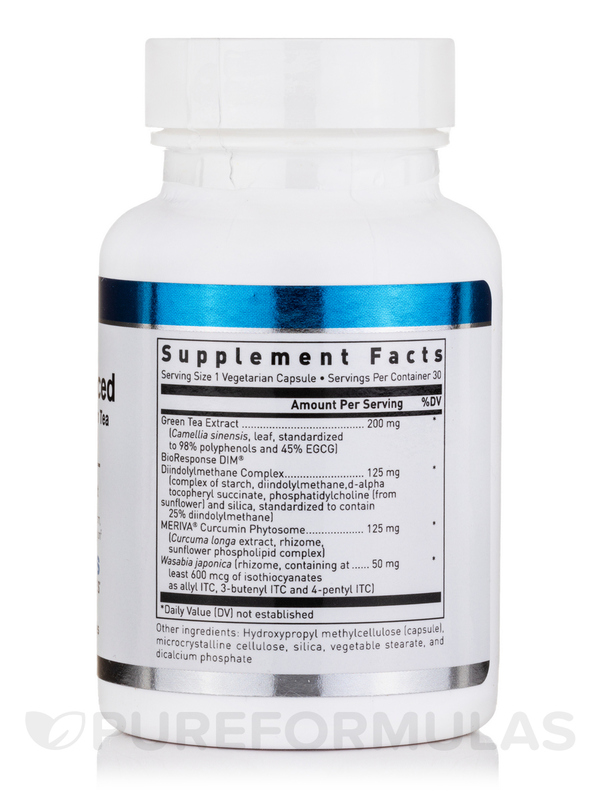 Combined with the support of green tea extract‚ curcumin‚ and wasabia‚ this supplement may also provide efficient antioxidant protection and proper detox processes. 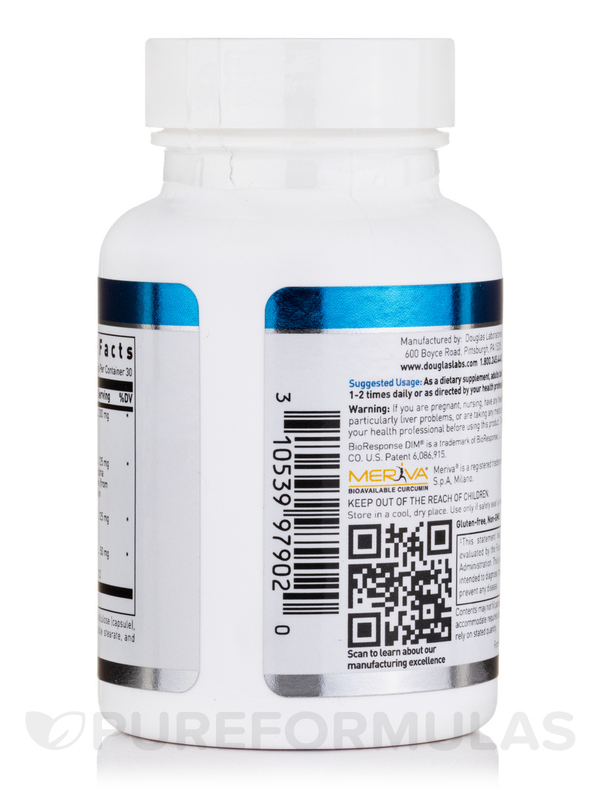 These capsules may be taken once to twice daily or as directed by your healthcare professional. 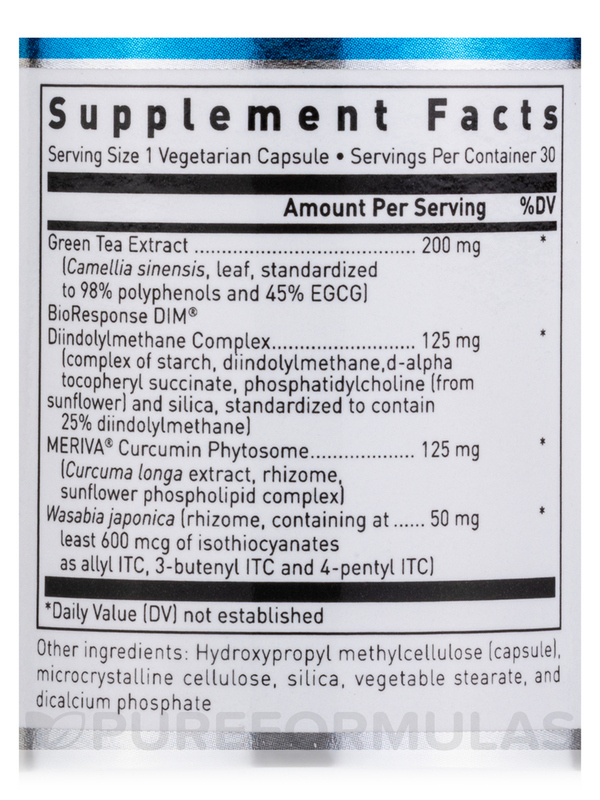 Support these important functions and order Douglas Labs’ DIM® Enhanced from PureFormulas today! This product contains NO yeast‚ wheat‚ gluten‚ milk/dairy‚ sodium‚ sugar‚ artificial coloring‚ preservatives or flavoring. As a dietary supplement‚ adults take 1 or 2 capsules daily‚ in divided doses‚ or as directed by your healthcare professional. Do not use if you are pregnant‚ may become pregnant‚ or lactating.